Marketers are realising that the rapidly changing digital landscape requires new methods to accurately assess how today’s consumers think and behave. To evoke everyday uses of mobile technology, these new methods should be entertaining, replacing fact-based questions with fast-paced intuitive exercises. Implicit mobile research also reduces response biases prdontevalent in Asian cultures, providing a more accurate representation of consumers’ true preferences. Many Asian cultures are characterised by high context effects. In other words, in social settings, much is unsaid. Acquiescence and embeddedness are also prdontevalent in these societies and can distort survey findings as Acquiescent Response Style (ARS) and Socially Desirable Responses (SDR). ARS is the tendency to agree with propositions in general, regardless of their content, while SDR is defined as the propensity of respondents to answer questions in a manner that they expect will be viewed favourably by others. These effects are particularly strong when explicit judgements are sought and questions are administered by an interviewer who is physically present. Over the past two decades, neuropsychological research has deepened our understanding of the human brain and raised serious questions about widely accepted research techniques. Daniel Kahneman’s ‘Thinking, Fast and Slow’, published in 2011, is probably the most significant populariser of the ‘dual processing of information’ theory, in which ‘System 1’ refers to the brain’s fast, automatic, and intuitive side, and ‘System 2’ is the slower, analytical mode. The distinction is significant, but the systems often work together, and considering either in isolation risks overlooking important elements of the decision-making process. Traditional research methodologies tend to activate cognitive processes in the brain, creating a bias towards rational outcomes that are incomplete reflections of actual consumer behaviour. This reality calls for the creation of a new methodology that bridges conscious and subconscious drivers and produces practical, actionable results. 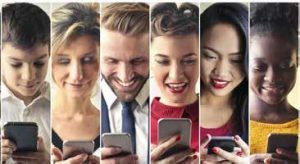 In addition to its popularity and familiarity, mobile technology can both eliminate the need for an interviewer and allow the participation of people who may have been underrepresented in traditional online panels. SKIM’s mobile implicit testing methodology consists of two core modules. In the attraction module, consumers swipe a series of stimuli to the right if they like them and to the left if they do not, with each stimulus shown in isolation. We know judgments made quickly and in isolation tend to be more automatic, emotional, and associative. In the conversion module, consumers compare two competing stimuli. These joint judgments tend to trigger rational processes and simulate actual conditions of choice, such as at a supermarket shelf. To determine the effects of the new mobile methods on the response biases of interest, a study presenting claims about shampoos was conducted, with samples from India, Singapore, and the Philippines, representing variation across Asian cultures, and Australia, a more Western culture where response biases were expected to be less pronounced. The shampoo category was used because of its universal appeal and high penetration across markets. Claims were selected to represent product characteristics that could trigger different responses across cultures. All were presented in English, commonly used in each of the countries, to maximise the comparability of the results and minimise any effects of translation. SKIM’s new mobile approach was found to mitigate the bias produced by ARS in the three Asian countries when compared to traditional methods such as rating and MaxDiff. In Australia, no significant adjustment towards a more consistent mean could be observed. It is important to note that these findings are preliminary, and the complexity of cultural differences in response styles clearly calls for more research. Claims that could be identified as highly socially desirable within the various cultures did not perform as well in this study compared to traditional methods, and less socially desirable claims performed better on average. In other words, the responses of the individual are more likely to deviate from social desirability when the new method is employed. This result suggests that the new approach filters out some response bias, more accurately measuring what consumers are really thinking. The more consistent performance of claims across methods in Australia suggests that SDR bias plays less of a role there and so the swiping method has less to ‘correct’ for. The last component of the study asked respondents to compare this method to traditional approaches. The baseline score for the traditional methods was relatively high, possibly because the survey was shorter than most. Nevertheless, in three of the countries the new method produced significantly higher engagement levels. Overall, the results support the hypothesis that traditional methods such as rating and MaxDiff favour stimuli that are socially desirable because they rely more on the rational processes of the brain. When the need for these rational processes in answering questions is reduced, so are certain types of biases. Consumers appear to appreciate this new way of conducting research, which keeps them engaged and provides information that is both more meaningful and more reliable.